Developed by the United States and Canada primarily so that players can participate in matches during the cold winter months, indoor soccer is very different from its outdoor counterpart. It has a smaller field – about the size of a hockey rink – with fewer players per team on the field. In this game, five field players and a goalkeeper are allowed, with substitution players for each team on the corresponding benches. 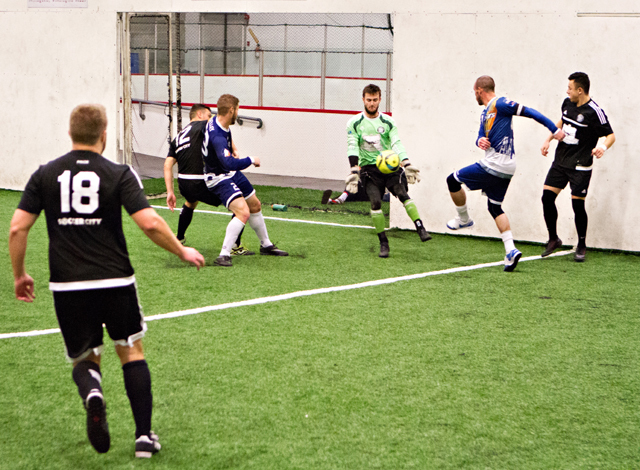 Often, an outdoor team splits into two teams to play indoor soccer leagues. Indoor soccer, also called arena soccer, is a fast-paced game that is used to sharpen skills during the off-season. Players need to be able to stop on a dime and change direction quicker than the standard sport. Proper shoes are important for any sport, but indoor soccer doesn’t work quite so well if the shoes worn are regular tennis shoes. The kind of traction given by a regular cleat is useless on the carpet. Standard soccer cleats built for outdoor soccer will lose traction easily, causing players to slip and slide with any direction change. Because of this, a shoe made specifically for indoor soccer is a must. 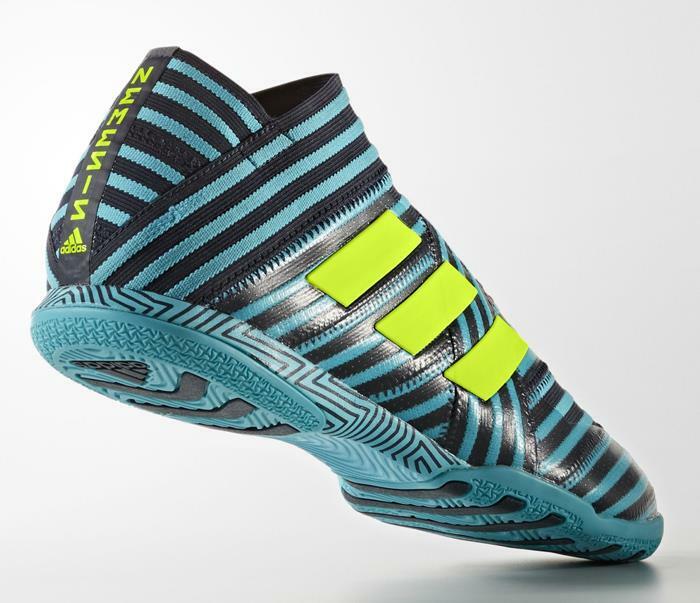 Here’s the top five best men’s indoor soccer shoes, in no particular order. 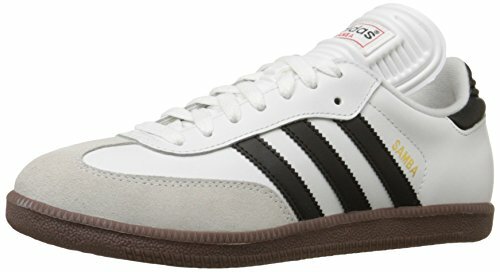 Rated the best overall on several sites, the Adidas Men’s Samba Classic Indoor Soccer Shoe is a budget-friendly option at only about $70. This is one of those shoes that never seems to go out of style. These classics come in two different colors: black and white. 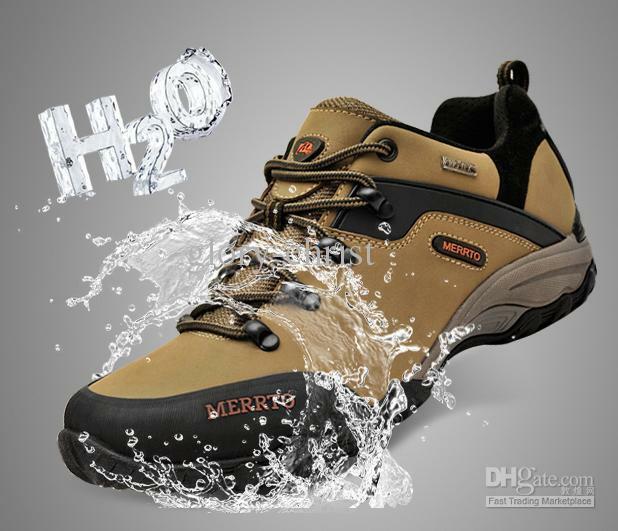 Equipped with a gum-rubber outsole that makes it more durable than most, these shoes are great with arch support and are waterproof. People who wear Converse sneakers prefer these as everyday shoes, too, because they offer more arch support while not clashing with most outfit choices. These are often chosen for biking as well. Because of the diversity of uses for this shoe, coupled with its price tag, it is obvious why it’s been around for so long. Coming in with a price tag of around $100, Under Armour’s Command Indoor Soccer Shoes are made of a lightweight kangaroo leather to provide better ball control. The charged cushioning is designed to absorb impact and convert it to responsive quickness. There’s extra flexibility thanks to the flex grooves, and the shoe boasts that it doesn’t need to be broken in. Just like the Adidas Samba Classic, this is a shoe built to be worn on and off the pitch. Color choices are also limited to black and green or white, grey and black. Got orthotics? They will fit into these shoes, despite the insole not being removable. For those with a bigger budget, the $200 Nemeziz from Adidas comes in either white or blue. Another shoe that boasts about not having to be broken in, this shoe is engineered to perform. The design is unique enough that the shoes can be worn off the pitch at all times if needed, but it is durable enough to be worn as a regular shoe and a competitive one. The shoe’s fabric is thick, and the shoe is heavier than others. Because of this, many shy away from buying them. 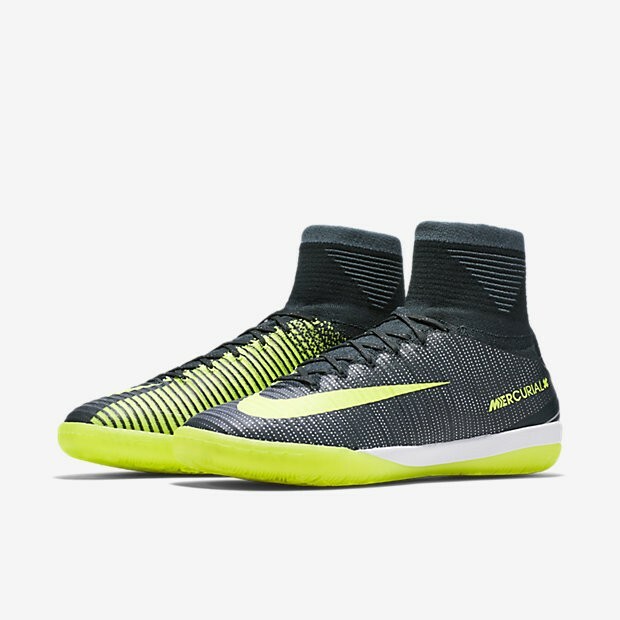 With a price tag of $130 to $190, the Nike MercurialX Proximo II only comes in one color. These shoes have a Flyknit construction, which wraps the foot entirely for a second-skin fit. There is also a collar that fits around the ankle for a sock-like fit. An internal grip system helps keep the foot from slipping, while the tongueless design helps this shoe to fit snug. Because of the unique design features, this shoe needs to be broken in. Some have gotten blisters from the first wears, but once the shoe is worn a few times, it becomes a wardrobe staple and a good shoe for the pitch. The Munich Gresca is a popular choice in the UK, and with good reason. It comes in a variety of colors on top of its performance reputation. 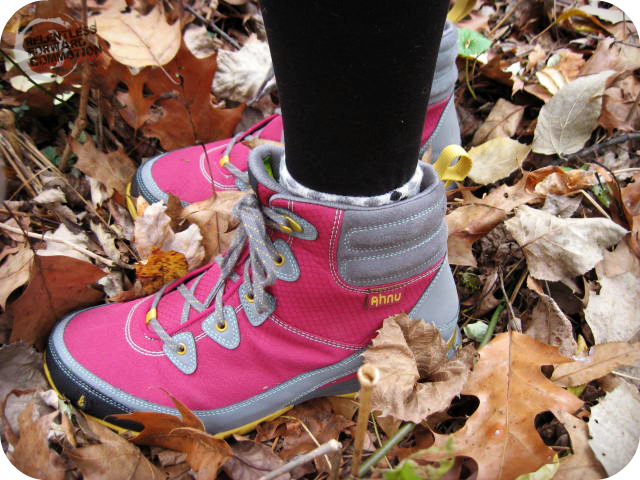 With a comfortable fit right out of the box, these shoes have very little break-in time. Because they are made from a combination of suede-finish kangaroo leather and nylon, these are breathable shoes. That being said, these shoes run about a half-size small, so be sure to order appropriately. These shoes offer a classic design with the highest quality materials and a solid build. When compared to other modern indoor soccer shoes, they offer a plethora of colors while still being simple enough to offer versatility off the pitch. With a price tag of $110 to $165, these shoes are an international hit.